The chapter starts with Perona learning that Gecko Moria is alive, something which startles her. As a result, she decides to leave Mihawk’s castle and go to find her former master, Gecko Moria. It’s pretty interesting that Mihawk tells her that this is probably the best time to leave his side. Will the Shichibukai System be abolished? Probably because the Shichibukai system is going to be abolished, at least according to what Fujitora has already stated. If that actually happens, it’s only natural that the Warlords, and of course Mihawk, are going to be targeted by the Marines as well. Moving over to the Pirates’ Island – Beehive, which turns out to be the base of the Blackbeard Pirates, and of course, it’s shaped like a skull. There we witness Absalom’s ship, who appears to be alive and in the island. And this is where Gecko Moria makes his appearanc, at last, storming into the island, to find Blackbeard himself. It’s interesting to note that his bounty seems to be the same as 2 years ago when we last saw him. The first important character who apperas to stop Moria is Avalo Pizzaro, who is revealed as the commander of the 4th ship of the Blackbeard Pirates (careful there’s a typo in the chapter saying he is the commander of the 2nd ship). Then, Shiryu of the Rain appears. He possesses Absalom’s ability, invisibility, the one that the Clear Clear fruit gives. We can probably guess here that they killed Absalom after all. For more on how the Blackbeards steal devil fruits and their abilities, be sure to check this post out. The next Commander Moria encounters is Catarina Devon, the Crescent Moon Hunter. She is the user the dog dog fruit: Mystical Beast – Nine-Tailed Demon fox. The nine-tailed demon fox (for those who haven’t watched Naruto, shame on you :P) is a mythical creature in Japanese folklore that is mischievous, tricking other people and disguising itself. She mentions that Absalom was snooping around, something that is interesting to learn why later on. After all these, a big earthquake starts shaking the island, and of course, that’s the work of Marshall D. Teach himself. Blackbeard starts by mentioning something extremely interesting. He says that on the 4th day of the Reverie, the Commanders of the Revolutionary Army clashed with Fujitora and Ryokugyu, something we had predicted in our theory you can find here. Of course, we learn nothing about the outcome, so I guess the Reverie will have to wait for now, just a teaser for us. Blackbeard’s Bounty – 2,247,600,000 berries! Blackbeard seems more and more like the real-life one, Edward Teach, and he also appeared some days after the death anniversary of the real-life Blackbeard. Oda knows how to plan stuff. Now let’s get to Blackbeard’s astronomically high bounty. It’s 2.2 billion berries, 2,247,600,000 to be exact. It’s the highest bounty we have seen so far in One Piece, among the 10 mentioned in the video you can check out below. He also seems to know about what is happening in Wano, which seems kinda weird, since news generally don’t get out of Wano easily. That’s it with the base of the Blackbeards, now we are back to Wano Kuni and the second act of the arc. There we witness Inuarashi and Shutenmaru clashing on top of Mt. Atamayama. It’s probably because Inuarashi is trying to convince Shutenmaru to join the alliance. Maybe they are even blowing off some steam, regarding their grief about Oden’s death. You can check our theory about Oden here. Then we get to Tama and her waking up. It’s interesting to note that Chopper doesn’t seem too worried about Luffy being KO’d and thrown into prison. I suspect he believes a lot in his power and spirit, so he knows he won’t be bent. Let’s elaborate a bit more on the clash of Inuarashi and Shutenmaru. It may have been a quick travel in time for Kinemon and Momonosuke. However, for the others those 20 years were filled with torture by Kaido and the Shogun. That of course has resulted in their spirit being broken, and them having no trust and faith in changing the situation. It’s only natural that they are not getting the support from the people of Wano right away, since they were kind of abandoned for 20 whole years. This is the blank of 20 years that needs to be filled of course. But is it easy to do that? The chapter now moves to Onigashima Island. They talk about a trade deal, maybe with another supplier of SMILES or something like that? After that, we see Jack getting scolded by the Beast Pirates all-star, King the Wildfire, who actually looks like Magellan in body and like Pica in the face :D.
His back also seems to be on fire, maybe showing his power being a hellhound or something. He also appears to have full-time wings, maybe showing he is a SMILE user himself? Let’s now talk about the last picture of the chapter, feature Queen the Plague, the other all-star of the Beast Pirates. We all know that the Plague is a really deadly illness which spread in the past and killed many people. Probably she’s pretty deadly as well. The funny thing is that ‘she’ is an okama. We also notice some mechanical stuff on the table in front of her, maybe she has some mechanical part herself. Let’s remember here that Queen was ordered to break the spirits of Luffy and Kid, so maybe she is working on a torturing device or something. But all these are of course suspicions at this stage. So, that was it regarding the discussion of chapter 925 of the One Piece manga. We got to see the Blackbeard Pirates, Blackbeard’s new bounty, learn something about the Reverie, also saw Mihawk, Perona and Gecko Moria after a long time. Lastly, the second and possibly final act of the Wano Kuni arc begun. I hope you guys enjoyed the chapter as much as I did. Question of the Day: What do you believe happened in the Reverie between the Revolutionaries and the Marines? Are the Beast Pirate All-Stars extremely powerful? Did you expect this bounty for Blackbeard? Share your thoughts in the comments section below. This is my favorite website for reading discussions about One Piece. Blackbeard’s Bounty is ridiculously high, but then it was expected. By the way wow I did not expect Gecko Moria to be alive. That is a surprising part for me in this chapter. Oh my god and Absalom is alive too???? This is really getting interesting day by day. Thank you for this discussion. I had fun reading this today. Glad you like the website Sujandar. The developments were cool for sure. One Piece is getting better with each and every manga chapter I agree. Cheers! oh god, this is one of the most epic mangas ever. My brother and I have been watching it for years now. 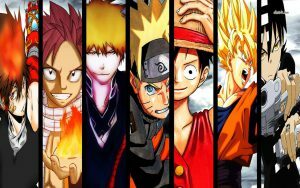 If you watch anime or read manga, you can see how One Piece has influenced a lot of other works..for example: Gintama has tone of quotes for One Piece. I am not as far as the 925 chapter, but I am sooo looking forward to get to it! the adventure is real and you get into characters so much. Love it. Hey Katya! 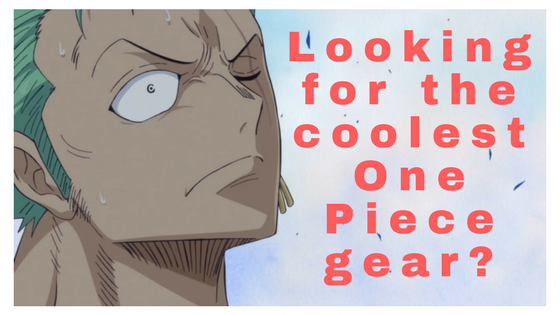 Glad you are a One Piece lover yourself. You should pick up with the latest manga. The developments are perfect. Also, Gintama is freaking funny. Thanks for the input :). Cheers!